2017. The seminar was held between 29 and 30 May. During the colloquium-talks, practical case studies and workshops, attendees were able to reinforce their knowledge and immerse themselves in new methods with a particular focus on management by missions. Antonio Argandoña, Emeritus Professor of Economics and Business Ethics at IESE was one of the speakers and on this occasion talked about “Mission and Values in Companies”. 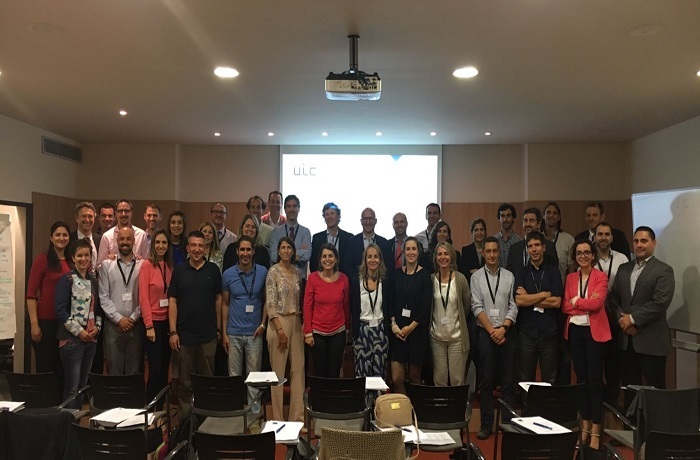 Carlos Rey, Director of the Chair and Professor of strategic management at UIC Barcelona, raised awareness in one of his sessions about different business models that focus on the Mission. Attendees participated in different activities but they were also able to hear the testimony of companies using this management model in person through the experiences of Florent Amion, General Director of Vygon España; Xavier Fitó, Director of Vegetables in the Seeds Division at Fitó; Anna Viñolas, Human Resource Manager at ISS Group and Francisco Martín, Product Manager at Corporación Jiménez Maña. Each of them described their own viewpoint and experience in the area of Management by Missions, a model they have been implementing and developing in their companies for several years. Nuno Pitta, Executive Director of DPMC, and Miquel Bastons, a professor of organisation and an expert in decision-making (UIC Barcelona) and Alex Montaner, a Senior Consultant at DPMC, talked about their experiences of consultancy in the area of Management by Missions and Mission Focused Leadership.